A state-of-the-art, professional kitchen to help you nourish your food business. Kitchen Local is a 1,800 square foot, full-service commercial kitchen and storage facility. There are two complete kitchen work stations/packaging areas and on-site, designated dry, cold and frozen storage areas. Our kitchen stations can be rented separately or as one full kitchen for exclusive use. The facility is equipped with top-of-the-line commercial equipment as well as an array of cook and bake ware. Kitchen Local is the result of a life-long dream of what seems to be in the Sutton family genes! ​Having been inspired by my mother and father who, upon their retirement, opened and ran a successful seasonal breakfast/lunch restaurant in Amesbury for five years and by my brother who, in his forties, received his culinary degree and launched his own successful catering company in Austin, Texas; I too changed course mid-life to pursue my very own foodie dream. For years, I have experienced and appreciated the value of shared-use commercial kitchens through my brother, John. And knowing there was a burgeoning food industry here on the North Shore, but a shortage of commercial kitchen workspace to support that industry, I realized the direction I wanted to take. 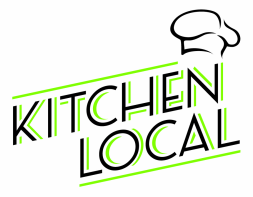 Kitchen Local is about passion, dreams, hard work, goals and entrepreneurship; not just for me, but for those who are and will become part of the Kitchen Local community. I am exactly where I should be: helping to create and support new experiences and locally produced products that revolve around food. * 2013 Recipient of the Amesbury Chamber of Commerce "Trailblazer Award"